Often times at parties, it’s easy for wine glasses to get confused. There are countless “wine charm” products out there for you to buy to have guests put on their glasses; there are even DIY wine charm projects out there. But wine charms don’t protect your wood surfaces from damage; you still need a coaster for that. So, why not combine the idea of a wine charm with the practicality of a coaster? 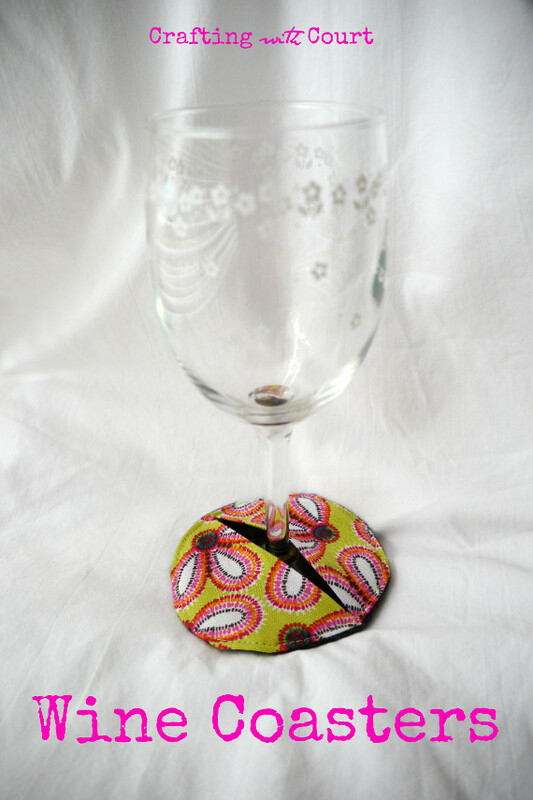 Follow this tutorial and make wine coasters out of all your scrap fabrics. Guests will be able to identify their wine glass by the fabric on their coaster and you don’t have to worry about running around with coasters! This entry was posted in Crafts, Needlearts, Parties, Sewing and tagged coasters, Felt, Scrap Fabric on October 7, 2015 by Courteney. I’m always on the hunt for a new craft to try out, so when I found a wood burning tool in our offices, I knew I had to heat it up and give it a whirl. I’m loving the geometric design trend that’s taking over the DIY world, so I knew right away what I would be etching into some wood we had in the office. But what to make? 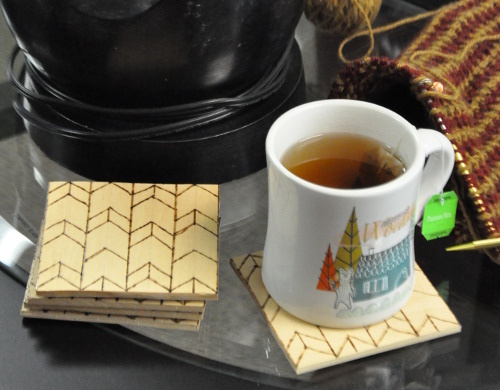 I decided to craft up some coasters because I’m slowly starting to collect real adult furniture that I actually want to protect from my coffee while knitting addiction and my daily ice cold sparkling water. 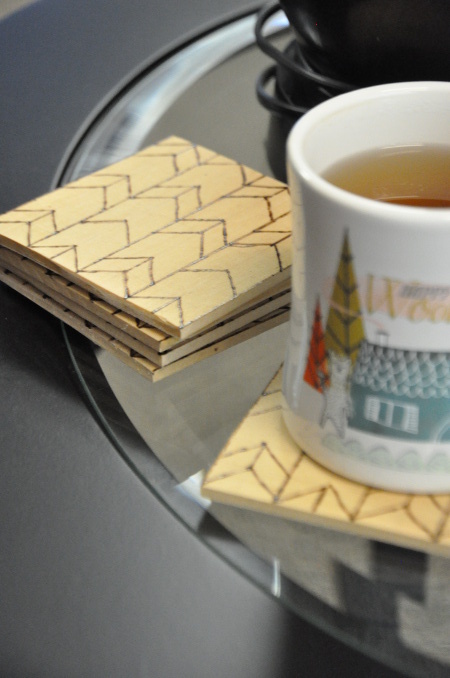 These coasters add a really natural design element which blends right in with my personal style. They’re the perfect useful art piece! This entry was posted in Crafts, Home Decor and tagged coasters, Craft Techniques, Wood on March 29, 2015 by Joselyn. This holiday season I’ve decided to try my hand at making home made gifts for friends and family. 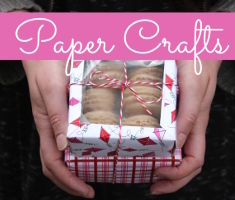 Crafty gifts are always fun to give and receive, because they can be tailored specifically for each person. Plus, making presents by hand means that I will be able to afford to give presents to more people in my life, including co-workers, teachers etc. 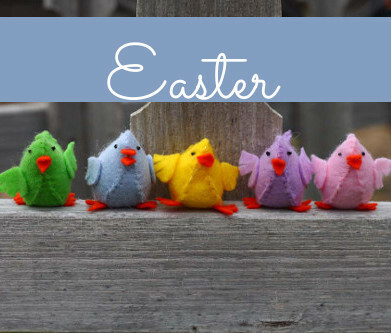 Here’s a list of some unique and beautiful gifts that aren’t too complicated to make at home. These Herb Candles have a subtle, lovely scent. 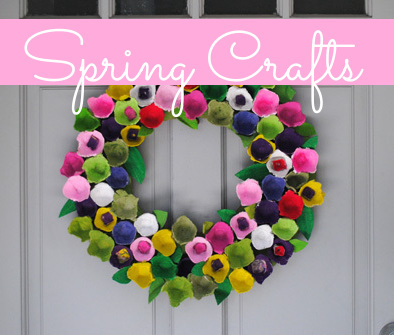 You can decorate the holders to match the herbs and style of the person you are making them for. This entry was posted in Birthdays, Christmas, Crafts, Holidays & Seasons, Home Decor, Winter and tagged Candles, coasters, gifts for anyone, Magnets, photos, soap on December 6, 2014 by Maria.